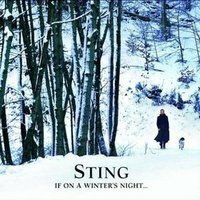 Answer the following trivia question for the chance to win an autographed copy of Sting's 2009 album If On A Winter's Night.... Drawing inspiration from his favorite season, this album is meant to invoke the spirit and sounds of winter. The rose design on the soundboard of Sting's lute is based on a design found in which French cathedral? Please submit your answer using the form below by 11AM/EST tomorrow. Each correct response will be entered into a drawing and winner will be selected, at random, and announced during the next day's post. Please note, each member may only enter once. Stay tuned to Sting.com as details on the grand prize will be announced soon! This contest has now closed. The winner was David Lopex-Celedon who correctly answered Chartres Cathedral.